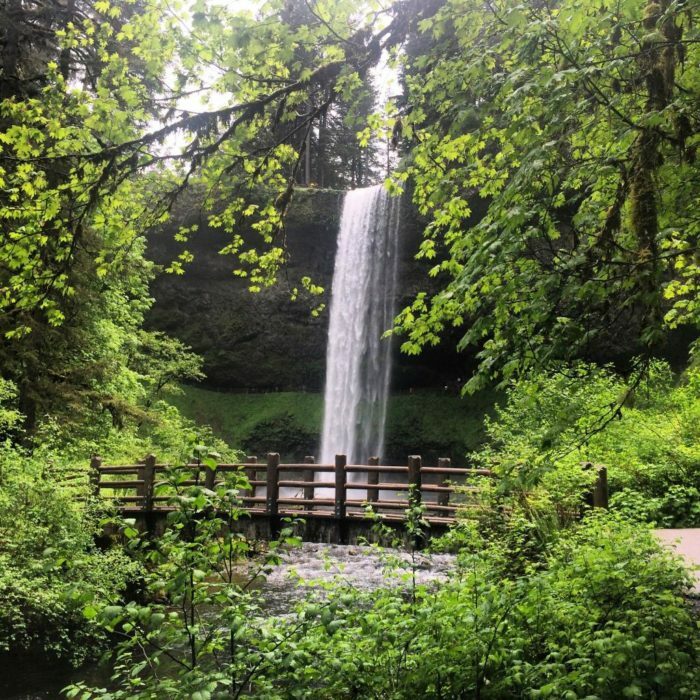 With more than 230 waterfalls in Oregon, you could spend years exploring all of them (and if that’s not a worthy bucket list, I don’t know what is!). 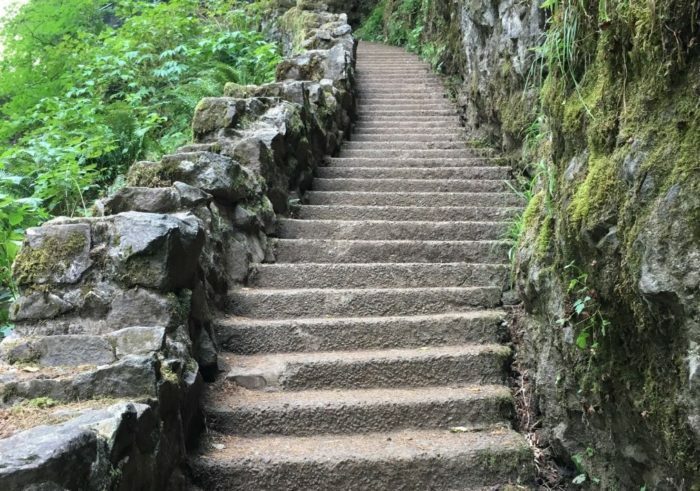 Take this gorgeous trail to see not one, but TEN waterfalls, all within a seven-mile-long loop. 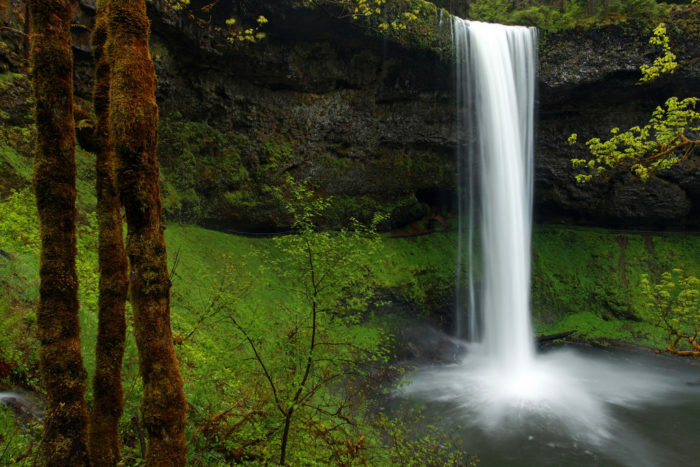 The Trail of Ten Falls is located in Silver Falls State Park. 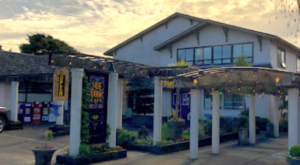 The park is located near the little town of Sublimity, about 20 miles southeast of Salem. 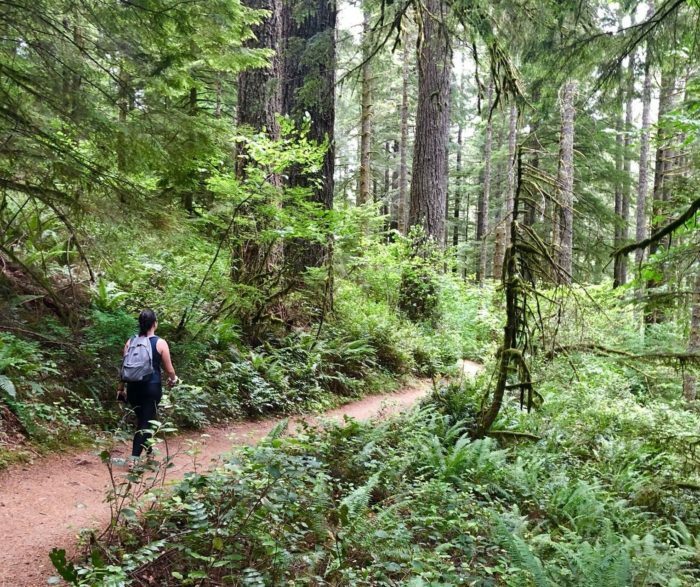 This beautiful trail makes a 7.2-mile loop through a beautiful forest in the foothills of the Cascade Mountains. The trail is considered moderately difficult. 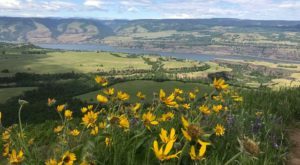 Though it's fairly easy to traverse, you will experience an elevation change of 800 feet as you descend into and back out of the canyon. The canyon is lush and green. 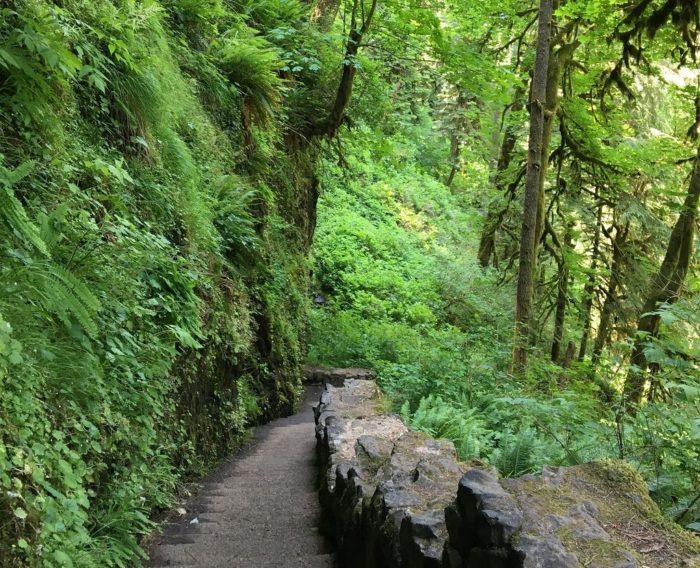 You'll see moss growing on the trees, and plenty of ferns and other greenery. 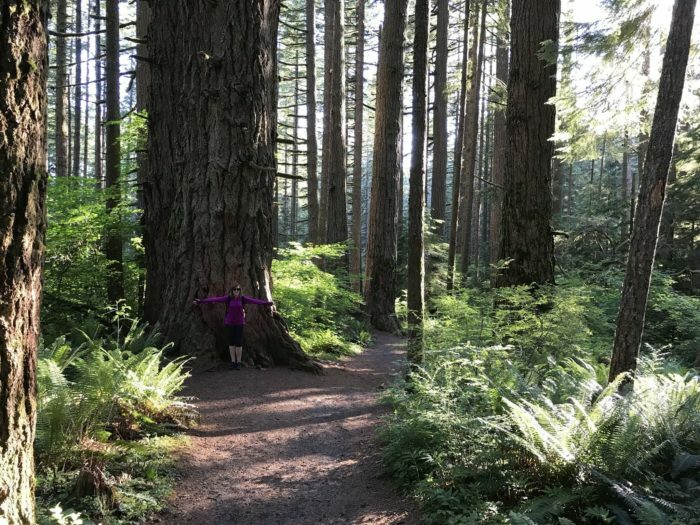 This old-growth forest has some huge trees! 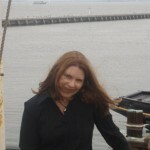 Sometimes, the ancients fall. 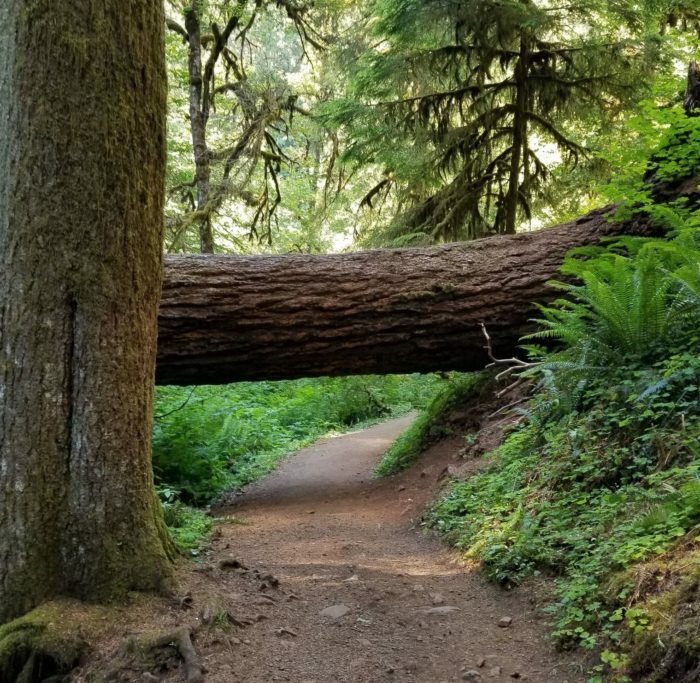 You'll duck underneath this huge tree that's across the trail. 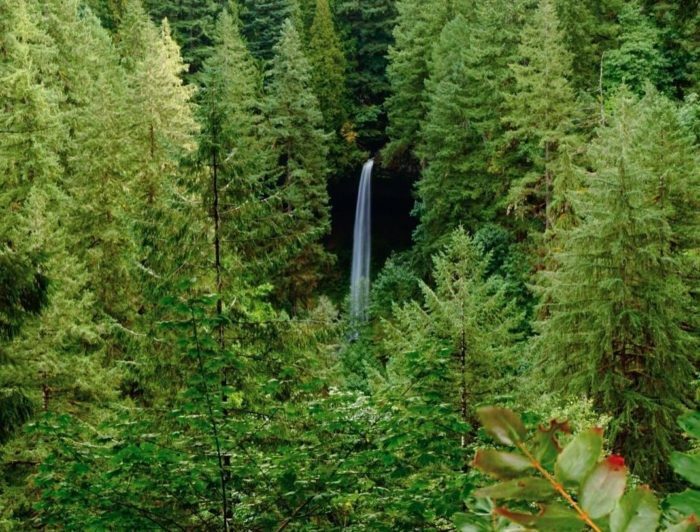 You'll want to make sure you bring your camera on this hike. 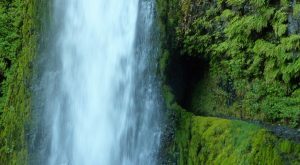 The waterfalls are all picturesque, set against their lush, green backgrounds. Each waterfall has a sign that tells you its name and height. 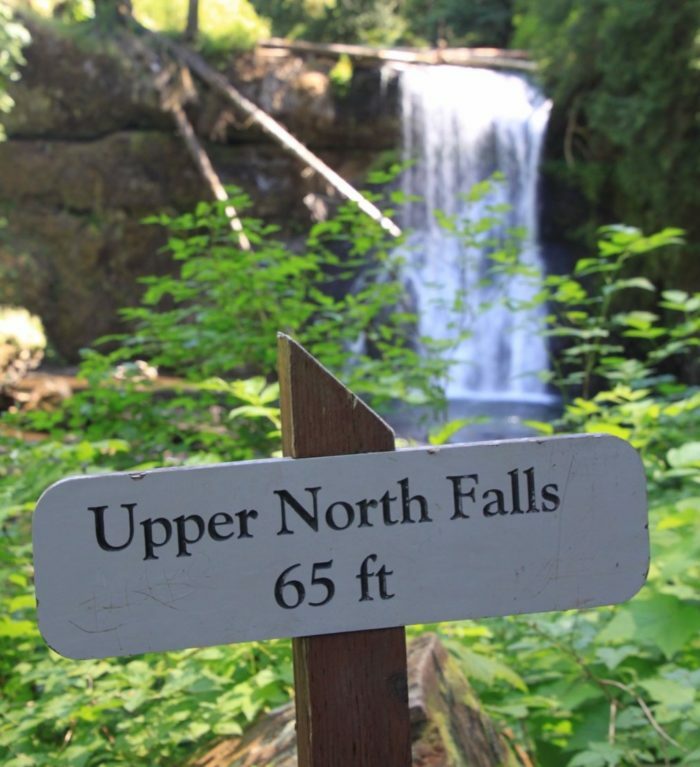 Hiking clockwise, you'll encounter South Falls, Lower South Falls, Lower North Falls, Double Falls, Middle North Falls, Drake Falls, Twin Falls, North Falls, Upper North Falls, and Winter Falls. You can also take the loop counter-clockwise, starting at the same trailhead. 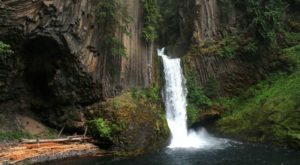 The trail goes right underneath the 170-foot-tall South Falls and takes you underneath three other waterfalls as well, including Lower South, North, and Middle North falls. 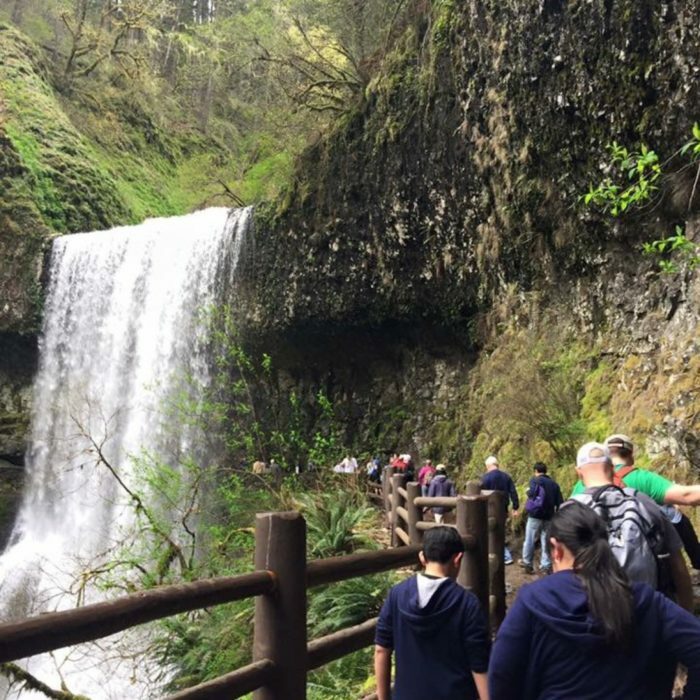 Be prepared: you'll definitely get wet when walking underneath at least two of these falls! When photographing the falls, it's good to keep in mind that your gear can easily get soaked once you get up close. You'll often get some of the best photos by taking them from afar. 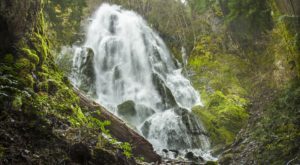 The waterfalls are definitely the star of the show along this trail, but you'll also see some pretty wildflowers and might catch a glimpse of some wildlife along the way. 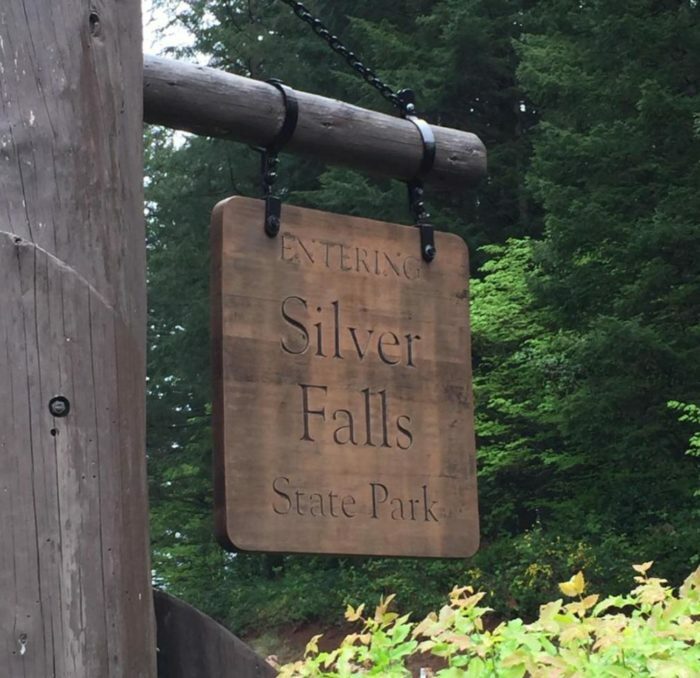 Silver Falls State Park encompasses more than 9,000 acres, and it's one of the most popular parks to visit. 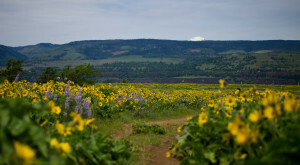 If you take this hike on a summer weekend, it's unlikely that you'll enjoy any quiet solitude. 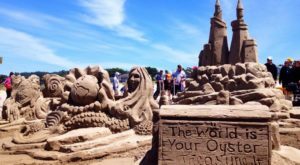 For fewer crowds, visit on a weekday or during the off-season in the fall, winter, or spring. This picturesque place should definitely be on your bucket list! 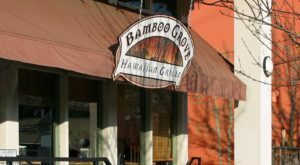 Have you visited recently? 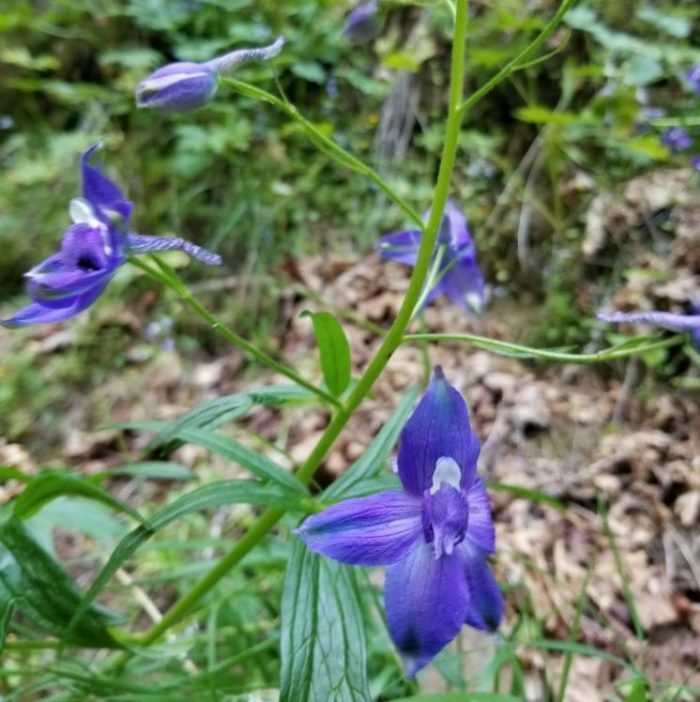 If so, share your photos in the comments below or on our Oregon Nature Lovers Facebook group for a chance to see your photos featured! 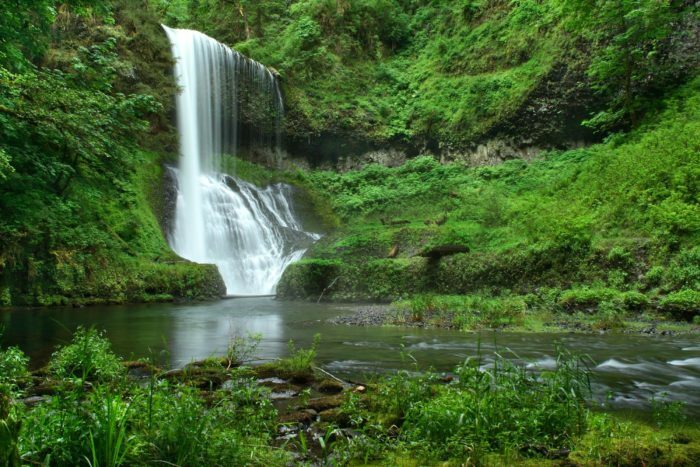 If you love waterfalls, you probably really love waterfalls with swimming holes! 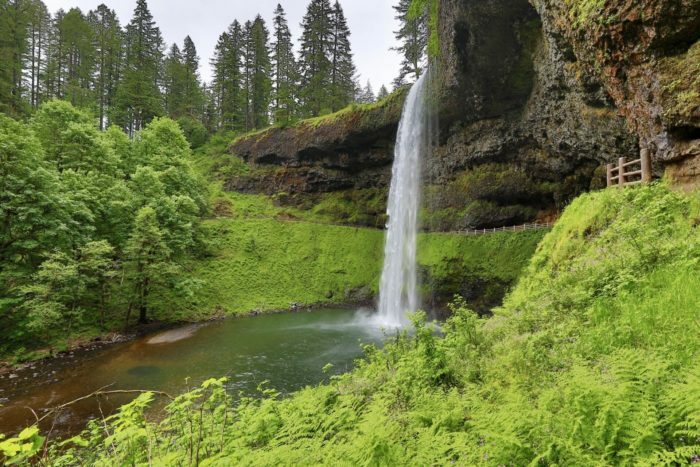 You’ll want to spend all day at this waterfall-fed swimming hole in Oregon.